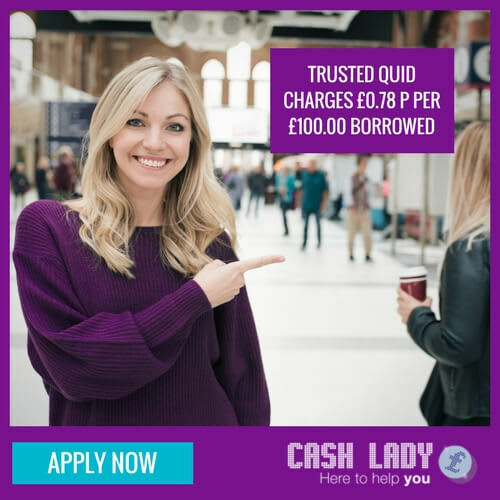 Trusted Quid is a trading name for Trusted Cash Limited, who have been offering online short-term loans, of up to £1500, for over five years. Headquartered near Edinburgh, they believe in gaining and maintaining customers trust, through reliability and transparency and ensuring that the lending process is safe and secure. What is the duration of a Trusted Quid loan? All loans from Trusted Quid have a set duration of six months, with the option to repay early. If you repay early, and your circumstances haven’t changed since your original application, then you may be eligible for a further advance within the same six-month period. New borrowers may apply to borrow from £100 - £1500, although the amount that you are offered depends on Trusted Quid’s assessment of your loan affordability. First-time borrowers are typically offered between £250- £500 while existing customers are offered up to £1500. 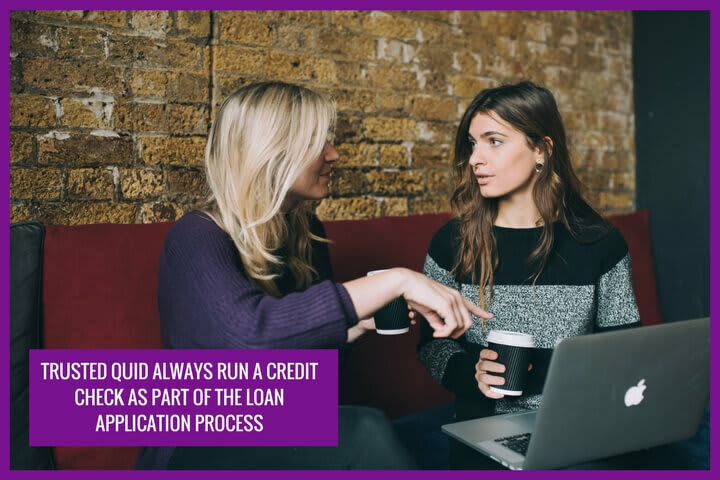 What is Trusted Quid’s loan application process? Applying for an online loan from Trusted Quid takes around 10 minutes. They ask for personal and financial information, such as an address history and details of your regular income and expenditure, which helps them to confirm your identity and review the loan affordability. 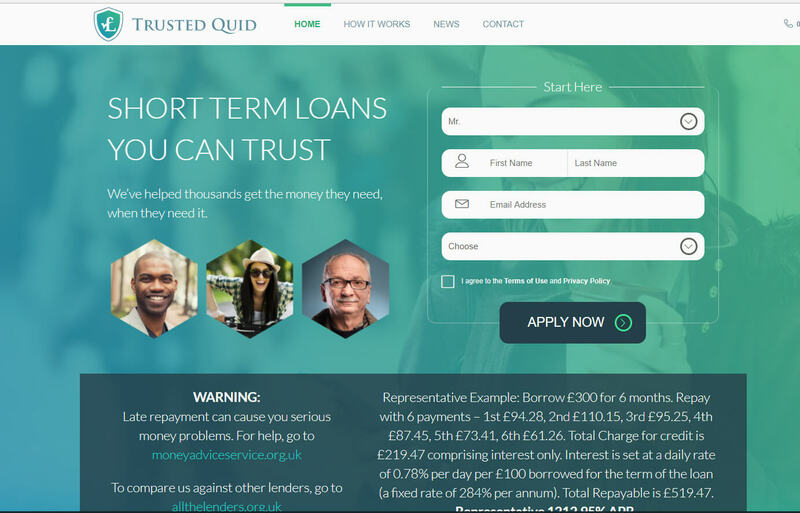 In most cases Trusted Quid provides a lending decision within minutes, although they like to speak to all of their customers before making a final decision. In some cases, they may request further documentation, to verify the bank details and employment information supplied in your application form. How quickly will I receive my loan from Trusted Quid? Trusted Quid aims to transfer the funds to you that day, so long as your loan is finalised before 10 pm on a weekday, or before 6 pm on a Saturday. Receipt of funds could be delayed if your bank doesn’t support Faster Payments. What do Trusted Quid charge? Trusted Quid charges £0.78 p per £100.00 borrowed, every day, for the duration of your loan. Borrow £300 for 6 months. Do Trusted Quid charge penalties? Trusted Quid have no hidden fees but charge a late payment fee of £15, along with daily interest charges, which continue to accrue for up to 30 days while your loan is in a collection status. Repaying late also typically has a negative impact on your credit file and could harm your ability to get credit in the future. Can I repay my Trusted Quid loan early? Yes, you may repay your loan at any time, paying only the outstanding original loan amount plus daily interest up to, and including, the day of your final repayment. Will Trusted Quid run a credit check? Trusted Quid always run a credit check as part of the loan application process, which is typical of any reputable short-term lender. A credit check leaves a footprint on your credit file and so it is recommended that you first check your own file before making an application for credit. This helps identify whether you have good credit, or need to make some improvements to your credit file, before applying for more. What help and support do Trusted Quid offer? Trusted Quid Customer Care is open from 8 AM to 11 PM on Monday to Friday and from 9 AM until 6 PM on Saturday. You can contact them by phone on 0191 450 0015 or email service@trustedquid.co.uk. Where can you find online reviews of Trusted Quid? Trusted Quid doesn’t work with any of the main online business review platforms. What are Trusted Quid’s FCA registration details? Trusted Cash Limited is authorised and regulated by the Financial Conduct Authority, and can be found on the Financial Services Register under firm reference no. 673703. 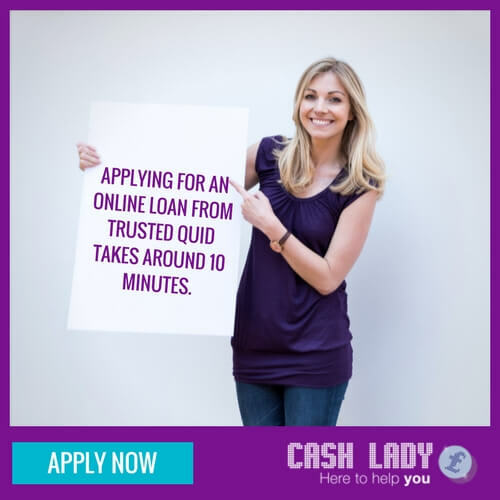 Applying through CashLady involves just one simple application. We’ll then provide you with a selection of suitable quotes from various providers, including Trusted Quid. We use our in-depth knowledge of the market, plus a portfolio of over 15 loan providers, to match you with the ideal financial solution for your needs, including all the relevant rates and prices, repayment terms and other important details that will help you to compare loan options.